IN RELATION TO THE STORY BELOW, WESTFIELD WITHDREW ITS DEVELOPMENT APPLICATION. CONGRATULATIONS TO THE LOCAL RESIDENTS WHO LOBBIED SO HARD. IT PROVES A FEW PEOPLE CAN AFFECT CHANGE. “At the very last minute at Willoughby Council’s meeting on Monday night (Oct 26 2015), Westfield withdrew their DA modification to axe a further 15 trees in Currey Park. This was supposedly to allow them access of heavy vehicles through the park. We had always maintained they could find a less invasive means of access and , suddenly, it appears they have. On Wednesday (28/10) morning the Devonshire Street access ramp to the car park was closed and being used for a concrete pour. We are by no means convinced the fight is over. However Westfield’s withdrawal of the DA modification indicates that they were finally feeling the pressure of growing community anger. I suggest that it would be more prudent to repair the existing seriously deteriorated path on the south side of De Villiers before embarking on another route. The following response was provided by Council after recent complaints by a local resident. The response typifies the ever decreasing powers Council’s have to manage their local area to the benefit of local communities. “I refer to your recent e-mail to Council in which you express concerns about signage on display at specific locations in Chatswood. I confirm that my staff have been investigating your concerns and I now provide you with progress advice. 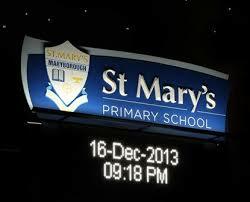 The land occupied by the two schools is owned by the NSW Department of Education. Council has limited scope to control and regulate signage on NSW state government school land. However, Council is currently investigating your concerns with NSW State Government agencies with a view to perhaps securing an improved outcome regarding the erection and display of signage. The ‘Meriton’ illuminated building sign on the western elevation of Building 2 (serviced apartments) was approved by the NSW Minister for Planning on 14 August, 2014. Along with many other Councils, the Independant Pricing and Regularity Tribunal (IPART) has deemed Willoughby Council ‘unfit’ to continue in its present form. Whilst IPART found that Willoughby Council was ‘fit’ as far as it financial underpinning, it also found that Council does not meet scale and capacity criteria (read they are not developer friendly). IPART has recommended that Council be amalgamated with adjoining Councils. Willoughby Council has one month to respond to the IPART report. The Government is hoping that Council will accept financial incentives on offer to voluntarily amalgamate. It is unclear what will happen if Councils do not volunteer. The Government may not have the numbers in the Upper House to force amalgamations. Perhaps the Government has some other options available to it. Time will tell. The Government wants to sort this issue out before the next sceduled local government election due in September 2016. The proposed changes to the Beaconsfield lights to allow through traffic and right hand turn movements have gained support in principle from the RMS. However, Lane Cove Council have concerns from some residents about the through traffic movements. The changes cannot proceed until both Councils are in agreement. The RMS also advises that this will be the last changes that they make to the lights. The State Government has been indicating that Councils will know more about their long term fates by the end of the year. The Independent Pricing and Regulatory Tribunal (IPART) will release its analysis of Councils ‘Fit for the Future’ claims shortly. Evidently, Councils will then have the opportunity to respond to this report by the end of the year. Then the Government may announce its intentions regarding amalgamations. It is likely that many Councils (including Willoughby) did not give due regard to the population size of their area. This could turn out to be one of the most critical dimensions weighted by IPART. In a recent NRMA survey, the Pacific Highway at Chatswood was named as the State’s worst road for a fifth consecutive year. This would not surprise residents in the ear surrounding the various intersections along this route. To our knowledge the Government and the Roads Authority do not have any specific plans to address this problem.